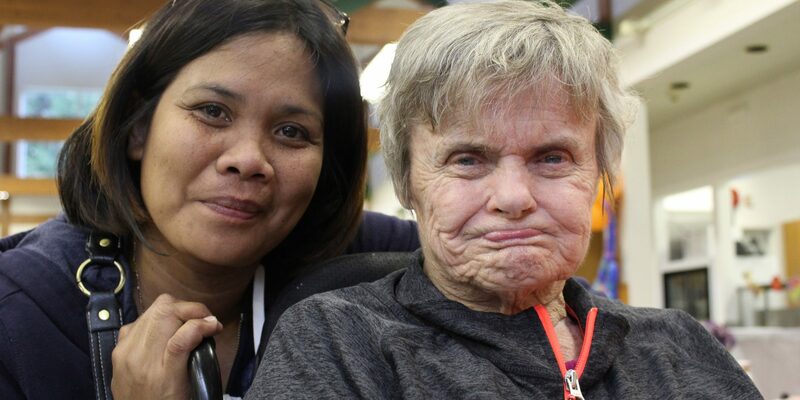 Full-time residential care by trained staff in a small home setting. Residents are encouraged to participate within the home and community. Communitas’ group homes provide full-time residential care for people with developmental disabilities. Connie, Kathy and Patty are happy housemates. They enjoy spending time together in their living room where the sun streams in through the big bay window. They share meals in the spacious dining room. They each have their own private bedroom that reflects their unique personality. These three women are supported by staff who provide 24/7 care, helping them to live full, meaningful lives. We believe that a full life is overflowing with choice, experience, faith and relationships. Every Communitas residence is the home of those who live there. We are intentional about creating an intimate, family setting where residents are treated with respect and dignity. Family members are an integral part of a resident’s life and wherever possible, they are included in decisions made to meet the unique needs of that person. Residents experience life as fully as possible and are encouraged to participate within their home and in their community to the best of their abilities. Connie loves baking and is well known in the community for her cookies – people are always coming back for seconds. Kathy is the one who keeps everyone laughing with her cheeky comments and great sense of humour. And while Patty may seem quiet and unassuming, she expresses herself through her love of fashion. Karin, who is the manager at this home, says she and her staff have come to love these friends.